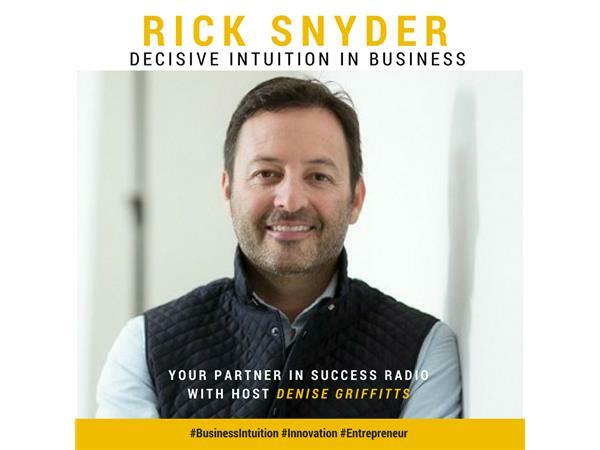 Rick Snyder is the Founder and CEO of Three Hats, an international consulting firm that builds high-performance environments in small, mid-size, and corporate businesses. He leads the Three Hats coaches in training companies and teams to build intuitive skills and translate them into business plans and company cultures that result in more effective communication, engagement, profitability and innovative success. His breakthrough strategies have been implemented by executives and businesses in Europe, Canada, Asia, Africa, and America. Rick holds an MA in Psychology and has previously worked in the healthcare, tourism and travel, and training spaces. He has launched three businesses of his own and travels extensively between California and Europe for work and leisure, and to help people access their intuitive skills for decision making on a global scale.